The Diaries of a Glam Mama: I was on TV again! But that's not what this post is about, I promise. I was on TV again! But that's not what this post is about, I promise. Ok, so as per the title of this post, I was on this live show called Bella on NTV7 last week. You'd think I was there to promote my book or something, but no (not this time, anyway!). I was actually there to provide some insight as to why 70% of Malaysians are planning to quit their jobs this year. It was an interesting show, and every guest had their own viewpoint, including my awesome bestie (I'm getting quite addicted to having my best friends on TV with me...). Video not displaying? Click here! I really did mean it when I said you have to get off your be-hind (clearly I almost said another word for it! Lol) and find your purpose. So many people either: (a) go through the motions, or (b) wander aimlessly through life, going from job to job with no big picture in mind. That is what I call an unfortunate waste of a life. I read this book about two years ago, and it changed my life. I know, I know, what a cliche. But I swear it's true! It took a while for me to actually change my life - about a year, actually - but when I did, I did not look back. "Looking into my closet – the clothes are casual, fun, quirky. No formal work clothes! ...In the afternoon, I am working on my writing as the children play. I am writing my fourth book, and I have several copies of my other books beside me. ...I do some knitting as dinner time approaches, and I prepare my ideal meal of creamy pasta and yummy dessert…some kind of crumble. Peach or apple." I should mention that I wrote this in 2012 - long before I had even met with MPH Publishing! Visualization and the Law of Attraction at work, people. It's a real thing. It's pretty crazy that my life has pretty much reflected 90% of I wrote in that Word document two years ago! When I wrote it down, I wasn't thinking about how I was going to achieve it, or even if I could. But visualizing this future that I wanted was the first step to realizing that I was not on a path that would get me there. It still took me a while to have the courage to change paths, but I am so glad I finally did. I did exactly what I said in the video clip above - I sat down with this vision in mind, and came up with a plan that had tangible goals that I needed to achieve to get there. I'm not saying the "unconventional life" is for everyone. If you are happy with your 9-5 job and you feel a sense of purpose in what you do, keep at it! You're one of the fortunate ones! No matter what your situation is, though, don't let anyone dull your shine. A job shouldn't just pay the bills, it should enrich your life in some way, and allow you to fulfill your potential. If you have a dream, go for it! 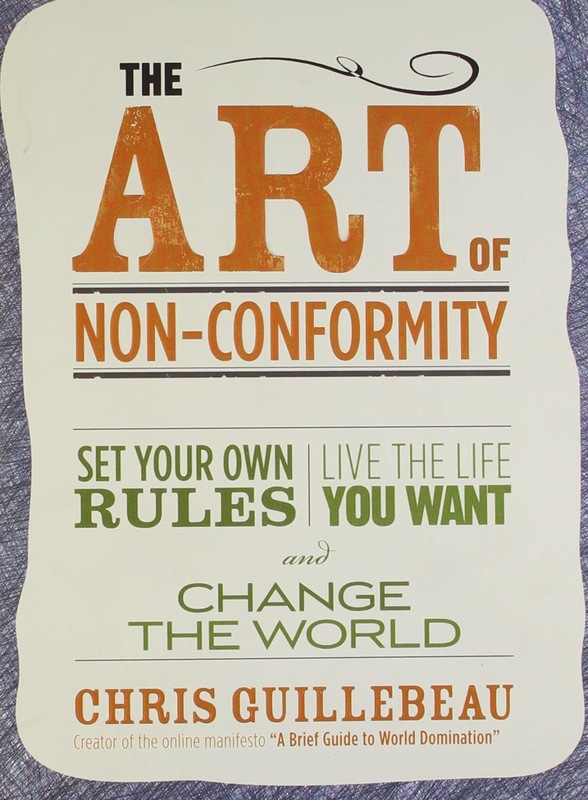 P.S: You should also check out Chris Guillebeau's blog! I recently transitioned away from a conventional job to a very unconventional one now. I sometimes get the feeling that people are whispering behind my back... no idea whether it's admiration or incredulousness over my seeming insanity for choosing this path. I don't think the path I've chosen is necessarily easier... but I chose to turn off the beaten path to find a more fulfilling and meaningful life.... and I'm glad I did. "An easy life and a meaningful life is mutually exclusive" - that's one of my favorite quotes. I was where you are...sometimes I still feel that way. So happy for you, btw!